What is Your Biggest Question about Kicking Sugar or Carbs? Please help me to help you. 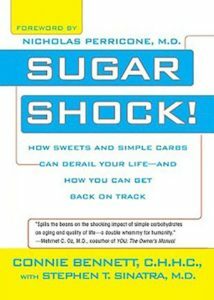 What would you like to know about sugar, carb addiction, weight loss, etc.? So ask me your burning question(s) now here on this blog or on my Facebook fan page. Can too much sugar really kill you? Can you really get addicted to sugar and/or carbs? Why do I keep blowing my diet over and over again? Can just one or two bites of dessert trigger an all-out binge? Can kicking sugar help me lose weight? Are “natural sweeteners” such as agave, honey or coconut sugar safe to consume? Is popcorn a good diet food? Can I still eat and enjoy chocolate? Help me to help you now. 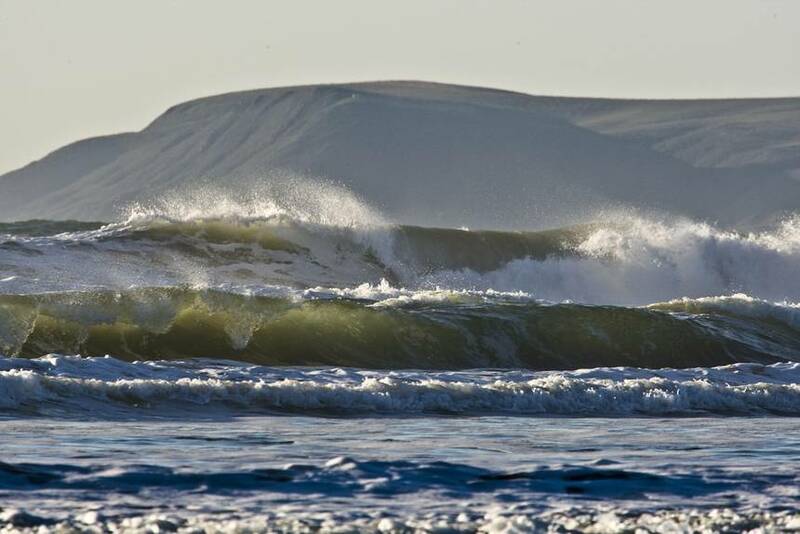 Now submit your question(s) here on my blog or on my Facebook fan page. 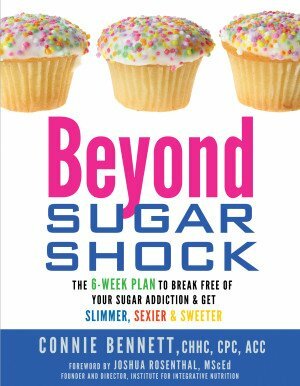 Comments (5) | | Categories: Beyond Sugar Shock, Lose Weight Now, Sugar Shockers, What's Your Big Question? What can you do on a holiday weekend or any time a relative, friend or neighbor urges you to eat her or his specially prepared [chocolate cake, brownie or whatever] “treat,” which is so tempting? How can you muster up the strength to resist that enticing “goodie” that’s full of sugar, processed flour, salt or fat, which you’re now craving? 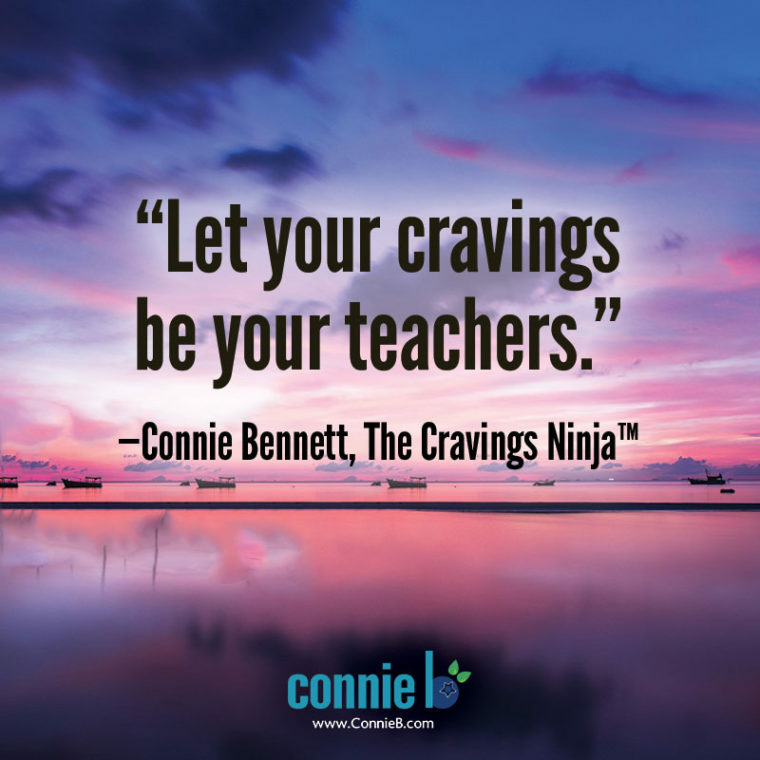 Just get in a receptive mode to let your cravings be your teachers. When you allow your cravings to speak to you — and you listen — you’ll get tremendous power. click here First, Delay: First, when a relative, friend or neighbor urges you to “Just try my [piece of pie, cake, cookies or fill in the name of the junk food],” just say, “Oh thank you so much for offering. This looks delicious.” Then add, “Right now, I need to run to the restroom.” Then dash off quickly. read more Next, Dawdle: While in the rest room, dawdle for one to five minutes. Take your time to do your bathroom business. Wash your hands twice. Fix your hair or your makeup, if you’re a woman. Do some stretches or belly-tightening exercises either in the bathroom stall or in front of it. Boogie to a tune on your iPod. (If you have no music, just hum your favorite tune.) When you dawdle like this away from the tempting “treat,” you’ll feel more power and determination to stick to your healthy eating plan. Once you leave the restroom, if dessert is served on the table, take more time. Then learn something new about your dining companions on both side of you. And if dessert is offered on a buffet bar, just stay away and talk with people elsewhere. website Third, Discover: While you’re in the restroom, far from temptation, do a short discovery process. 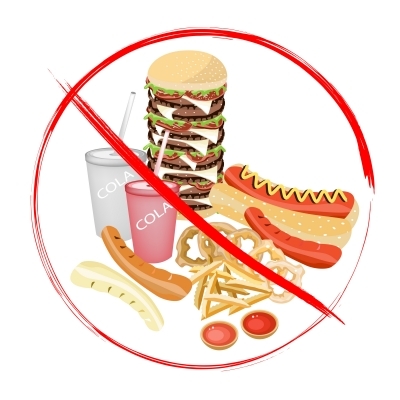 Ask yourself, “Do I really want this [junk food] or am I just worried about hurting [so-and-so’s] feelings?” Next, ask yourself, “How will I feel tomorrow if I have some of this [fill in the name of the dessert or snack food]?” Really get into the awful feeling you’d have the next day. Think about how discouraged, frustrated and angry at yourself you’d be. This is the one time I find that negative feelings can actually be constructive and productive over the long haul. order now Finally, Delight: Then top off your process with deliciously sweet feelings. I’m not talking about food, or course. Just think about how when you stay away from temptation and do nothing, you’ll feel so powerful, positive and in control. 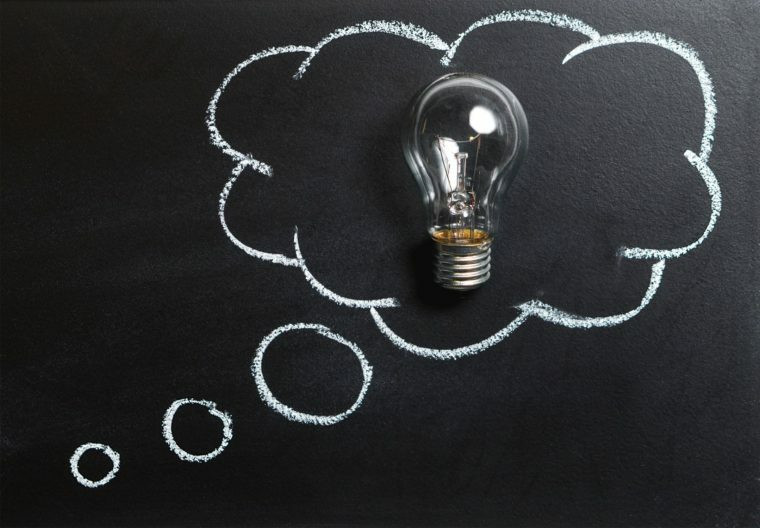 Recognize that your simple “No thank you” or simply walking away from temptation is a super-simple way to take positive, health-promoting action. In short, simple inaction is simple positive action. That’s all you need to do to be more powerful than well-meaning Sugar Pushers. Not only that but when you Delay, Dawdle, Discover and Delight, you’ll take pride in yourself quickly — within minutes! You’ll be so glad that you put off this short-lived, self-defeating, immediate gustatory gratification in favor of a long-term positive outcome. Tell your friends and loved ones about this powerful Delay, Dawdle, Discover and Delight Process. Remember, a half hour, hour or two later or the next morning, you’ll feel so relieved and proud of yourself that you didn’t let your cravings squash you into submission. https://sheisfiercehq.com/shop/ cheap viagra 100mg worldwide shipping drugstore Join us every week. You’re invited to return here each Monday morning (often Sunday afternoon) you’ll get a fast easy tool, insight or information to Crush Your Cravings or to motivate you. 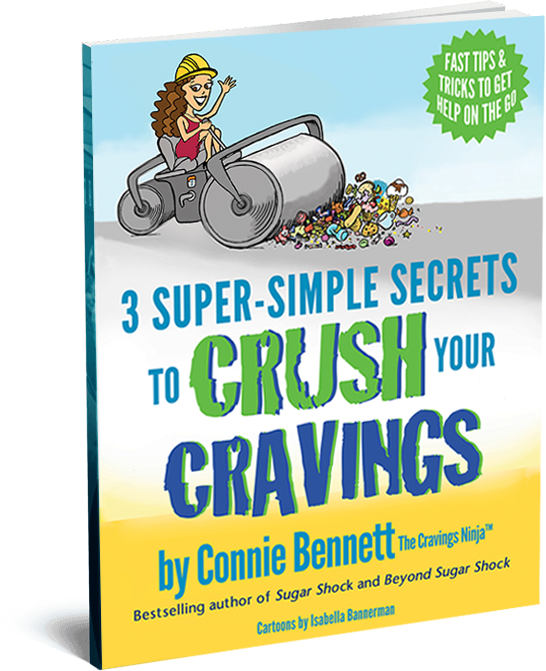 Plus, to get immediate help, sign up here to get your free 3 Super-Simple Secrets to Crush Your Cravings Quick-Start Guide. Then you’ll get updates in your in-box Monday (or Sunday) to help you easily, calmly, joyfully Crush Your Cravings and or get motivated. Have you downloaded your free, Cravings-Crushing, Quick-Start Guide yet? For this week’s Cravings-Crushing Monday, I want to make sure you’ve gotten your special gift to help you begin to easily, effortlessly, even playfully Crush Your Cravings for good. Get help now to rise above your frustrating cravings. Get ready to avoid temptation in this fast-food oriented, convenience-driven world. I’m determined to help you Crush Your Cravings right away. Just sign up now to get your free, Cravings-Crushing, Quick-Start Guide. Popcorn is not a healthy dieter’s best friend. Sure, you may read or heard that otherwise, but you’ve been misled. Sure, it can be challenging to resist popcorn and other junk food, especially at movie theaters. The tantalizing sight, smell and possibly sounds of popcorn popping are tough to ignore. But by gobbling a lot of popcorn, you’re overloading carbage (my phrase for carb gargage). 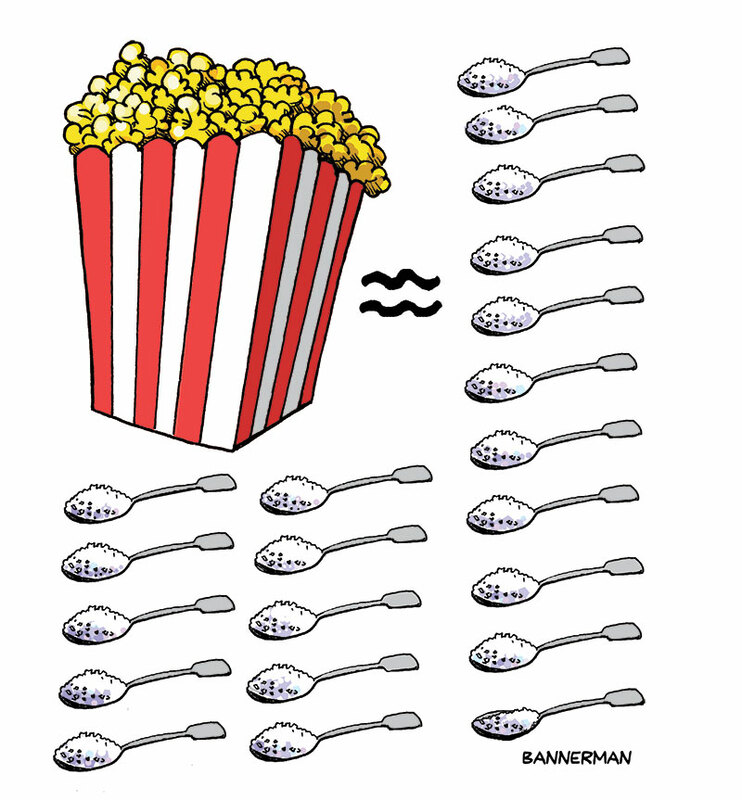 Just look at nutritional contents of popcorn and you’ll be shocked. Let’s face it though. It’s easy to ignore the popcorn facts. I know I did back in 2012 to mid-2013, while reeling after the death of my mom and struggling with grief and PSTD. Now learn more why popcorn is not a healthy diet food. This week, for Cravings-Crushing Monday, I’m going to share one ridiculously easy way to get a handle on your popcorn bingeing. However, this week, instead of writing about the tool, I’m urging you to listen to my first interview in about three years so you can discover how to take control of your popcorn intake while in the movie theater or when you’re on the run. 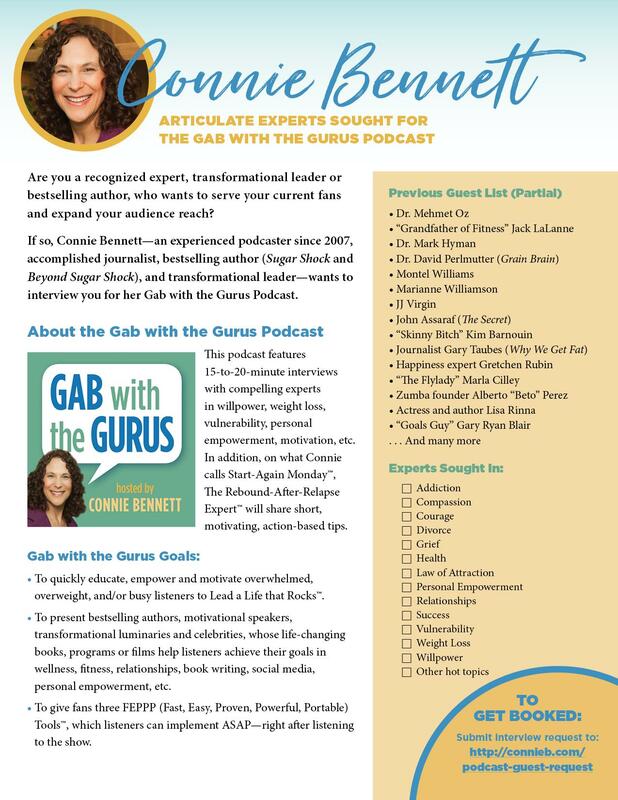 I share this really remarkable Popcorn-Ignoring Tool in an interview I gave to Denise Barry for her Free Yourself From Dieting… Losing Weight From the Inside Out Summit. You know how absolutely awful it feels to be in the stranglehold of an overpowering urge to eat—or, rather scarf— a certain bad-for-you nonfood? 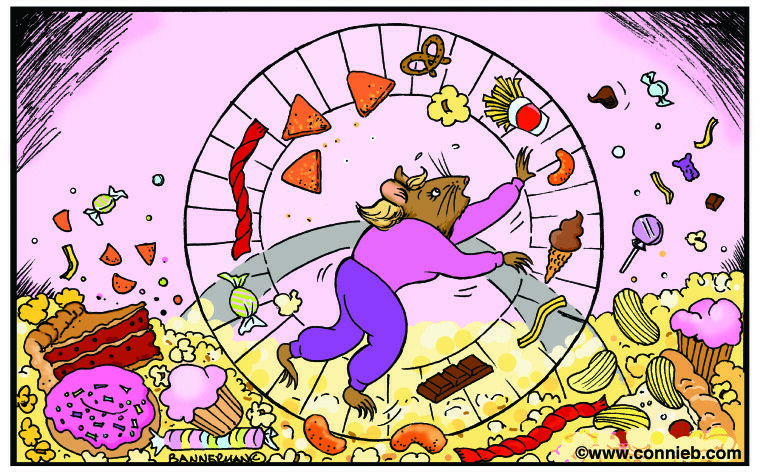 Do you feel like a hamster trapped on a spinning wheel—and against your will, you’re driven this urgent, burning, panicky need to shovel that edible junk food into your mouth now? Then, do you find that you just can’t stop thinking or fantasizing about your favorite donut, popcorn or [fill in the name of your preferred drug—okay, I mean, your trigger food]? 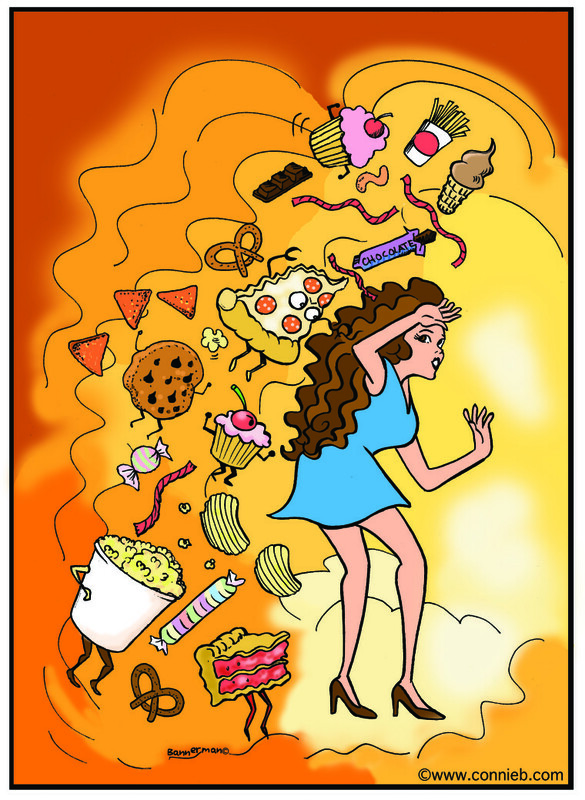 Even worse, do those junk foods keep calling out to you so you’ll eat or binge on them? 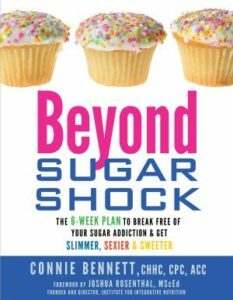 Throw stress into the mix, and you have a disastrous recipe for bingeing on unhealthy foods loaded with sugar, fat or salt. Then add your time of month or time of life, grief, challenges with your honey or mother, work woes or other compelling reasons, and danger is on the way. In short, do you get “possessed”—or so it feels—by what I call Crazy Cravings™? Why am I doing Cravings-Crushing Mondays? If I told you there was one simple thing you could do so that you’d stick to your diet, quit carbs, ditch sugar, or clean up your diet what would you say? It’s ridiculous to expect perfection, especially when it comes to dieting. That’s downright impossible. As a delightfully imperfect human being, you may “slip” at some point on your healthy adventure. And that’s fine. It’s to be expected. But when or if you fall off the wagon,” what you do matters. If you use your binge as an excuse to beat up on yourself, you’ll pave the way for more failure and inevitable weight gain. If, on the other hand, after you slip and eat sugar, carbs or other unhealthy snacks, you can ultimately succeed if you shower yourself with kindness, self-compassion, and understanding. 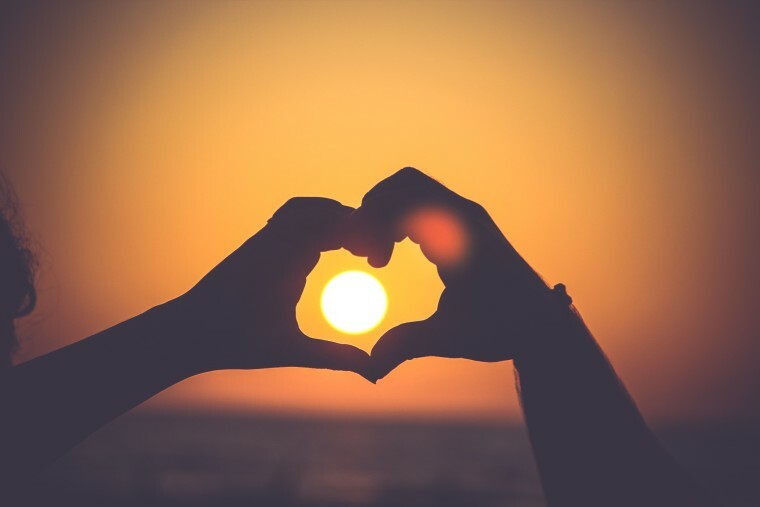 In fact, a growing body of research reveals that self-compassion is exactly what you need when you start or blow your diet or if you need help to get back on track, according to Kristin Neff, Ph.D., author of Self-Compassion: The Proven Power of Being Kind to Yourself. Should You Never Diet Again? Are you frustrated that you often blow your diet? Do you feel that you lack will power? So does this mean that you should never diet again? After 20 years of researching eating, psychology professor Traci Mann, Ph.D., has come up with intriguing theories, which she shares in her new book, Secrets From the Eating Lab: The Science of Weight Loss, the Myth of Willpower, and Why You Should Never Diet Again. 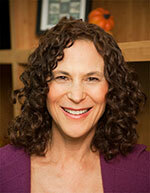 Dr. Mann, who I interviewed on my Gab with the Gurus Show, offered her findings on dieting. For instance, Dr. Mann maintains that diets don’t lead to long-term weight loss. She also contends that if you’ve regained weight you’ve lost, it’s not because you lack will power. 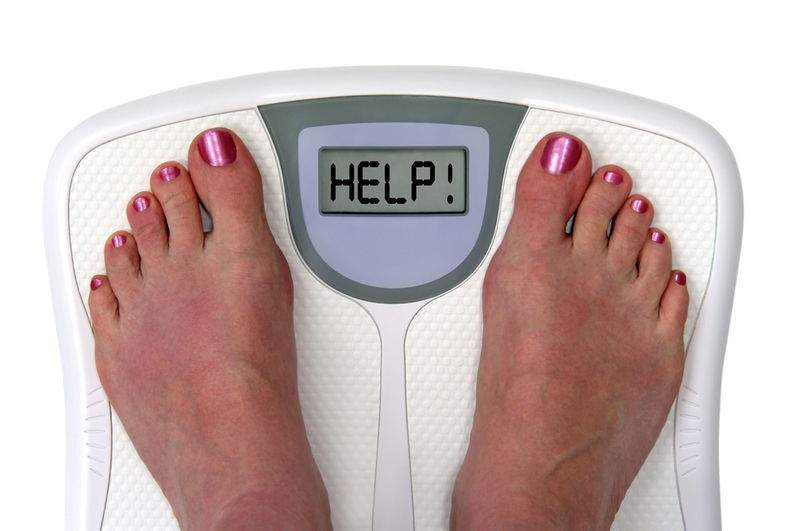 Have you had a diet relapse? If so, don’t fret. You can easily Bounce Back after You Blow Your Diet. In fact, I’m a success story. Indeed, as I reluctantly admitted last year, after my mother died — while I was reeling from grief, despair, betrayal, PTSD (Post-Traumatic Stress Syndrome) and more — I had a Carb Relapse, which, much to my professional embarrassment, lingered for some 10 months. Not only that, but I packed on 21 pounds. For the past two-plus years, I’ve been eating cleaning, and yes, I slimmed down, too. Now, I’m determined to show you how not to blow your diet when abuse, gut-wrenching grief, tragedy strike. Ever since I a Relapse Bouncer, I’ve become a magnet for questions about the topic. To help you, too, Bounce Back After Relapse, I’ve been creating or finding tips to help you get you back on track. Here are 10 Ways to Bounce Back After You Blow Your Diet. 1. Shower yourself with compassion if you’ve blown your diet.